How much fight do the Rebels have in them with nine games remaining in the 2017 season? They will find out Saturday as No. 18 Tennessee (16-5, 6-3) is up next on the schedule. Ole Miss (11-11, 4-5 Southeastern Conference) has six wins against the RPI Top 100, but against the RPI Top 50, the Rebels are 2-6, losing three of those games by single digits. Ole Miss takes the court in Knoxville, Tennessee late Saturday afternoon (5:00 p.m. CT, SECN) to take on the Vols, who have won four straight. Tennessee is in position to make the NCAA Tournament or NIT for the first time in three seasons. The Vols, who have their highest ranking since December, 2010, have already matched their winning total from last season and have outscored their opponents 134-48 in bench points during the four-game win streak. 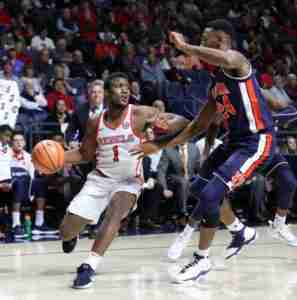 Ole Miss will have to guard the 3-point line, an area from which Tennessee had success in its 84-61 rout of LSU on Wednesday night. The Vols outscored the Tigers 36-9 from 3-point range. Tennessee made 12 of 25 shots from 3, while LSU was 3 of 19 from beyond the arc. In the Rebels’ last game, they allowed Auburn to make 9 of 28 shots from deep. Ole Miss loves to sit in its 1-3-1 zone defense, and hopefully it forces the Vols into turning over the basketball. Tennessee is averaging 12.8 turnovers per game, which ranks 131st in the nation. Against the Tigers, the Vols had 14 turnovers, but LSU couldn’t seem to capitalize on them. The reserves could play a big role for both programs, possibly determining the outcome of the game. Wednesday night, Tennessee outscored LSU 44-8 in bench points. 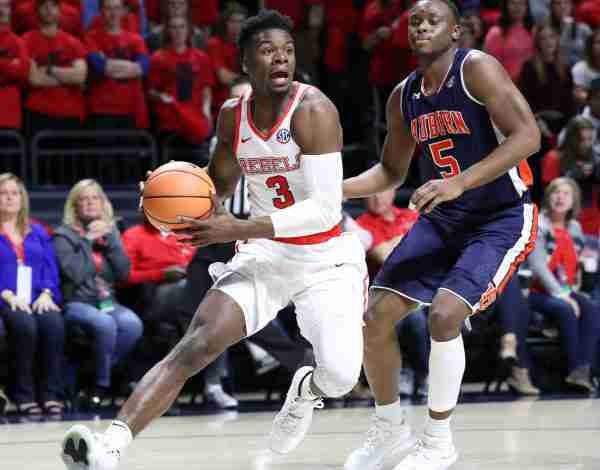 The Rebels received production from their bench against Auburn, outscoring the Tigers 26-8. With solid production from the starting five of Ole Miss, the Rebels should be in this one until the final buzzer. Ole Miss and Tennessee tip off Saturday at 5:00 p.m. (CT) in Thompson-Boling Arena (21,678) in Knoxville. The game will be televised by the SEC Network, with Mike Morgan handling the play-by-play duties and Dane Bradshaw serving as analyst.